N 41° 47' 59" and E 12° 31' 0"
Casale Smeraldi in Province of Rome (Latium) is a town located in Italy a little south of Rome, the country's capital town. Time in Casale Smeraldi is now 11:39 AM (Sunday). The local timezone is named Europe / Rome with an UTC offset of 2 hours. We know of 10 airports closer to Casale Smeraldi, of which 4 are larger airports. The closest airport in Italy is Ciampino Airport in a distance of 4 mi (or 6 km), East. Besides the airports, there are other travel options available (check left side). There are several Unesco world heritage sites nearby. The closest heritage site is Historic Centre of Rome, the Properties of the Holy See in that City Enjoying Extraterritorial Rights and San Paolo Fuori le Mura in Vatican at a distance of 6 mi (or 10 km). The closest in Italy is Villa Adriana (Tivoli) in a distance of 16 mi (or 10 km), North. We saw 10 points of interest near this location. In need of a room? We compiled a list of available hotels close to the map centre further down the page. Since you are here already, you might want to pay a visit to some of the following locations: Ciampino, Rome, Pomezia, Castel Gandolfo and Marino. To further explore this place, just scroll down and browse the available info. Let's start with some photos from the area. Via del Forte Ostiense s.n. 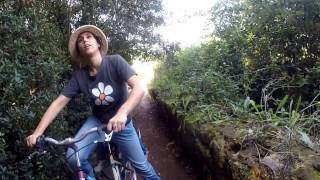 Go biking near via Appia Antica. 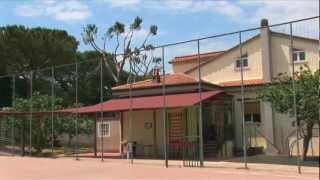 Promotional video of Britannia International School located in Rome in the area Castel di Leva, via Ernesto Parisi 11, zip code 00134 phone +39 06 71354252 e-mail info@britanniainternationalschool. The Sack of Rome on 6 May 1527 was a military event carried out by the mutinous troops of Charles V, Holy Roman Emperor in Rome, then part of the Papal States. It marked a crucial imperial victory in the conflict between Charles and the League of Cognac (1526–1529) — the alliance of France, Milan, Venice, Florence and the Papacy. Pope Clement VII had given his support to the Kingdom of France in an attempt to alter the balance of power in the region, and free the Papacy from dependency, i.e. Located at 41.8333, 12.5 (Lat. / Lng. ), about 2 miles away. The Fosse Ardeatine massacre (Italian: Eccidio delle Fosse Ardeatine) was a mass execution carried out in Rome on 24 March 1944 by German occupation troops during the Second World War as a reprisal for a partisan attack conducted on the previous day in central Rome. 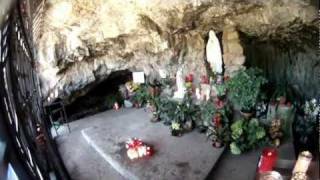 Subsequently, the Ardeatine Caves site (Fosse Ardeatine) was declared a Memorial Cemetery and National Monument open daily to visitors. Located at 41.8567, 12.5103 (Lat. / Lng. ), about 4 miles away. San Sebastiano fuori le mura (Saint Sebastian outside the walls), or San Sebastiano ad Catacumbas (Saint Sebastian at the Catacombs), is a basilica in Rome, central Italy. Up to the Great Jubilee of 2000, San Sebastiano was one of the Seven Pilgrim Churches of Rome, and many pilgrims still favor the traditional list. Located at 41.8556, 12.5156 (Lat. / Lng. ), about 4 miles away. PalaLottomatica, formerly known as Palazzo dello Sport or PalaEUR, is a multi-purpose sports and entertainment arena in Rome, Italy. 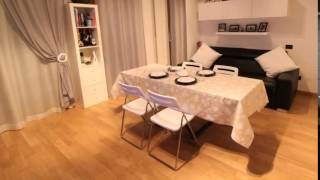 It is located in the heart of the well known modern EUR complex. The arena hosted the 1960 Olympic basketball tournaments The stadium features 8 meetings points, a restaurant for 300 people and a 2,700 square metre (3,229 sq. yard) outdoor terrace. It has a seating capacity of 11,200 spectators. Located at 41.8254, 12.4665 (Lat. / Lng. ), about 3 miles away. The Circus of Maxentius (known until the 19th century as the Circus of Caracalla) is an ancient structure in Rome, Italy; it is part of a complex of buildings erected by emperor Maxentius on the Via Appia between AD 306 and 312. 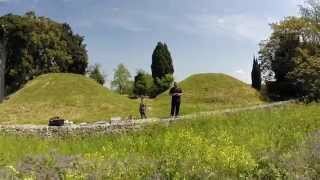 It is situated between the second and third miles of the Via Appia between the basilica and catacombs of San Sebastiano and the imposing late republican tomb of Caecilia Metella, which dominates the hill that rises immediately to the east of the complex. Located at 41.8547, 12.5225 (Lat. / Lng. ), about 4 miles away. The Museum of the Roman Civilization (Italian "Museo della Civiltà Romana") is a museum in Rome, devoted to the aspects of the Ancient Roman civilization. Located at 41.8319, 12.4781 (Lat. / Lng. ), about 3 miles away. Tre Fontane Abbey (English: Three Fountains Abbey; Latin: Abbatia trium fontium ad Aquas Salvias), or the Abbey of Saints Vincent and Anastasius, is a Roman Catholic abbey in Rome, currently held by the Trappist Fathers of the Cistercian Order. It is known for raising the lambs whose wool is used to weave the pallia of new metropolitan archbishops. The Pope blesses the lambs on the Feast of Saint Agnes on January 21. Located at 41.8344, 12.4833 (Lat. / Lng. ), about 3 miles away. NATO Defense College (NDC) is an international military college for North Atlantic Treaty Organization countries located in Rome, Italy. Located at 41.807, 12.491 (Lat. / Lng. ), about 1 miles away. San Paolo alle Tre Fontane, in English, St Paul at the Three Fountains is a church dedicated to St Paul the Apostle, at the presumed site of his martyrdom in Rome. In Latin it is known as Sancti Pauli ad Aquas Salvias (St Paul at Aquae Salviae). Since 2010 the church is a cardinalitial diaconia, with Mauro Piacenza as its cardinal deacon. Located at 41.8345, 12.4832 (Lat. / Lng. ), about 3 miles away. The Luigi Pigorini National Museum of Prehistory and Ethnography is a public and research museum located in Rome, Italy. Established in 1876 by Luigi Pigorini, it is currently directed by Maria Antonietta Fugazzola. One important collection of the Pigorini houses is Neolithic artifacts from Lake Bracciano. Another is the early ethnographic collection of Athanasius Kircher. Located at 41.8322, 12.4714 (Lat. / Lng. ), about 3 miles away. The Central Archives of the State are the main national archives of Italy. They were created in 1875 under the name of Royal Archives. They took their present name in 1953. They are located in Rome and are put under the responsibility of the Ministry of Culture. However, each of the 103 Italian provinces has its own state archive, keeping the public documents created in that territory and, mainly, the state archives of the Italian historical states. Located at 41.8286, 12.4767 (Lat. / Lng. ), about 3 miles away. The Villa of the Quintilii is an ancient Roman villa beyond the fifth milestone along the Via Appia Antica just outside the traditional boundaries of Rome, Italy. It was built by the rich and cultured brothers Sextus Quintilius Maximus and Sextus Quintilius Condianus (consuls in 151 AD) in the course of the 2nd century. Located at 41.8305, 12.5514 (Lat. / Lng. ), about 3 miles away. 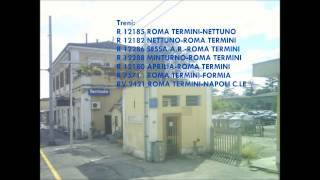 EUR Palasport is a station on Line B of the Rome Metro, in the EUR district of Rome between viale America and piazza della Stazione Guglielmo Marconi (the piazza being named after the station's old name). It was opened in 1955 as EUR Marconi but renamed to its present name on the opening of the new Marconi station. Beside it is the artificial lake created for the 1960 Summer Olympics. Located at 41.83, 12.4667 (Lat. / Lng. ), about 3 miles away. EUR Fermi is a station on Line B of the Rome Metro. Opened in 1955, it is sited in the EUR between viale America and piazza della Stazione Enrico Fermi. Next to it is the artificial lake created for the 1960 Summer Olympics. The station's atrium houses mosaics which have won the Artemetro Roma prize by Bruno Ceccobelli and Rupprecht Geiger. Located at 41.8286, 12.4711 (Lat. / Lng. ), about 3 miles away. Laurentina is the southern terminus of Line B of the Rome Metro. It is located in the Giuliano Dalmata quarter at the crossroads of via Laurentina and via di Vigna Murata. The first station on the site was begun in the 1930s, but only completed and opened in 1955. This was demolished in the 1980s, and the present building opened in 1990. It is also the terminus for several suburban bus routes. Located at 41.8269, 12.4811 (Lat. / Lng. ), about 3 miles away. Capannelle Racecourse, also known as Ippodromo Capannelle, is a horse racing venue in Rome, Italy. The course was first constructed in 1881, and it was rebuilt in 1926. It is presently the venue of three Group 1 flat races – the Premio Presidente della Repubblica, the Premio Lydia Tesio and the Premio Roma. The track also stages the most valuable flat race in Italy, the Derby Italiano, which was downgraded to Group 2 status in 2009. 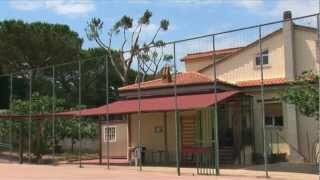 It is also home ground of Italy's premier cricket club. Located at 41.8236, 12.5692 (Lat. / Lng. ), about 3 miles away. Caecilia Metella (b. c. 100 BC, fl. 69 BC) was a daughter of Quintus Caecilius Metellus Creticus, who was a Consul in 69 BC. She married the Marcus Licinius Crassus who was the elder son of the famous Marcus Crassus and his wife Tertulla who and served under Julius Caesar in the Gallic Wars. Located at 41.8522, 12.5209 (Lat. / Lng. ), about 4 miles away. Capo di Bove is an archeological site on the Appian Way on the outskirts of Rome, Italy. It contains the thermal baths of a vast property owned in the 2nd century AD by Herodes Atticus and his wife Annia Regilla. Formerly privately owned, the property at No. 222 on the Appian Way was acquired by the Italian Government in 2002. The area of the baths was at that time being used for grape growing. Located at 41.8484, 12.524 (Lat. / Lng. ), about 3 miles away. Casal Rotondo is the largest tomb on the Appian Way, to the southeast of Rome, Italy. A small farmhouse has been constructed on the top. The structure is found at approximately the VIth mile of the ancient Appian Way. The name comes from the fact that the tomb is round and because a farmhouse (casale) was built on the top in the Middle Ages when it belonged to the Savelli family and was one of a system of watchtowers along the Appian way. The mausoleum dates from around 30 B.C. Located at 41.821, 12.556 (Lat. / Lng. ), about 2 miles away. Santuario della Madonna del Divino Amore or the shrine of Our Lady of Divine Love is a Roman Catholic shrine dedicated to the Blessed Virgin Mary that consists of two churches: an old church built in 1745 and a new church added to the sanctuary in 1999. The church was included by Pope John Paul II in the pilgrimage of Seven Pilgrim Churches of Rome during the Holy Year 2000. Located at 41.7788, 12.5439 (Lat. / Lng. ), about 2 miles away. The Acqua Santa Golf Club Course (Italian: Circolo Roma Acquasanta Golf Club) is an Italian golf course located along the Appian Way southeast of Rome. Constructed in 1903, it hosted the running portion of the modern pentathlon events for the 1960 Summer Olympics. Located at 41.8483, 12.5386 (Lat. / Lng. ), about 4 miles away. 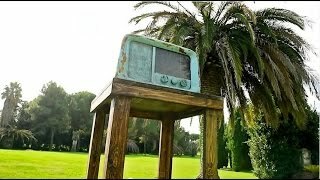 Palzzo dei Congressi is a venue located in Rome, Italy. Constructed originally for the 1942 Universial Exposition, but cancelled to World War II, it hosted the fencing and the fencing part of the modern pentathlon events for the 1960 Summer Olympics. Located at 41.8339, 12.4744 (Lat. / Lng. ), about 3 miles away. Palazzo Eni also Palazzo ENI is a skyscraper in Rome, Italy. Has 80 meters and 22 floors. Today, it is the third tallest building in the city, after Torre Eurosky and Torre Europarco. Lies within EUR. Building is headquarters of Eni, Italian multinational oil and gas company. Located at 41.8272, 12.4717 (Lat. / Lng. ), about 3 miles away. INAIL Tower also Palazzo INAIL; former as Torre Alitalia, Torre IBM is a skyscraper in Rome, Italy. Has 72 metres and 21 floors. Today, it is one of tallest buildings in the city. Lies within EUR. Building is headquarters of National Institute for Insurance against Accidents at Work. Built in 1965, was a vertical 19-storey building, 72 metres high, as the seat of the national airline - Alitalia, commonly called "Tower Air France" or "Alitalia Skyscraper". Located at 41.8306, 12.4749 (Lat. / Lng. ), about 3 miles away. The Gardagolf Country Club is an Italian golf course located in Soiano del Lago, close to the Lake Garda in the Province of Brescia. The first 18 holes (Red and White Course) designed by Cotton, Pennick, Steel & Partners were inaugurated on the 28th of June 1986, while the Yellow Course was added in 1990. The club hosted the Italian Open twice in 1997 and 2003, the Kronenbourg Open in 1993, and the Ladies Italian Open in 1990. These are some bigger and more relevant cities in the wider vivinity of Casale Smeraldi. Starting at: 06:45 pm (18:45).